Sports Betting: On Track In New Hampshire? A U.S. Supreme Court ruling last year allowed states to legalize gambling on sporting events. Now the Granite State appears poised to do so, with a House bill advancing through the legislature. We look at the details of this proposal, which include allowing betting at 10 locations and mobile betting, as well as concerns around addiction and what some consider to be "government-sanctioned" gambling. Les Bernal - National Director of Stop Predatory Gambling. Former chief of staff in the Massachusetts State Senate and a former college and high school basketball coach. Rep. Jess Edwards - Republican state representative from Auburn. He voted against the sports-betting bill that passed the House and is now in the Senate. Michael McCann - Director of the UNH Law Sports and Entertainment Law Institute. Co-Director of the UNH Law Sports Wagering and Integrity Certificate Program. Rep. Timothy Lang - Republican state representative from Sanborton and sponsor of HB 480, which establishes sports betting in New Hampshire. The bill passed in the House and is now schedule to come up in the Senate Ways and Means Committee on April 24. ESPN has been tracking state activity on sports betting. As of Feb. 2019, according to ESPN, eight states had full-scale legalized gambling, while more than 20 states, including New Hampshire had introduced bills allowing sports betting. And here is ESPN's look at sports gambling in other countries. Read about the U.S. Supreme Court's decision that allowed states to legalize sports betting. 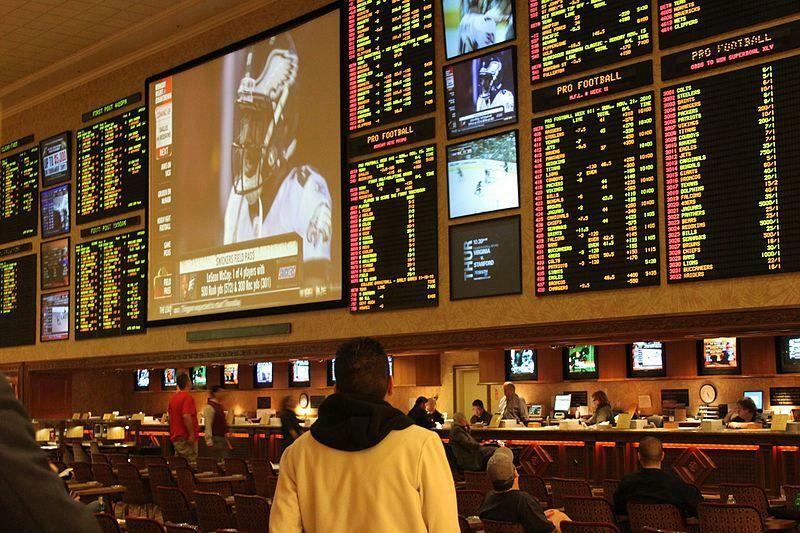 Michael McCann of UNH Law looks at how the Court's ruling could impact American sports and lists potential winners and losers after the 2018 decision allowing states to legalize sports betting. In several states that legalized sports betting, revenues fell short. In Rhode Island, where sports betting is legal, some lawmakers are particularly concerned about mobile betting -- or using phones to place bets. With in-game gambling, fans can make bets play-by-play during a game. In this interview with NPR, Les Bernal of Stop Predatory Gambling, says that despite the decision by the U.S. Supreme Court allowing states to legalize sports betting, "state-sanctioned gambligng is goign to be dramatically reformed in the years ahead. The CBS News program 60 Minutes explores whether legalized sports betting will encourage or curtail corruption.